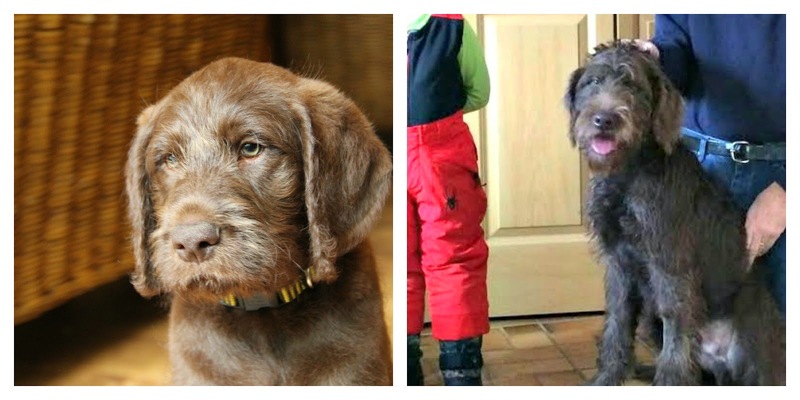 Our labradoodle puppies passed their 6 month birthday before the holiday season. I am excited to give you an update on what they are doing and how they have grown. We have heard back from all of our families. All of the families said that our pups house trained quickly. We have great reports on temperament with all of them as well. 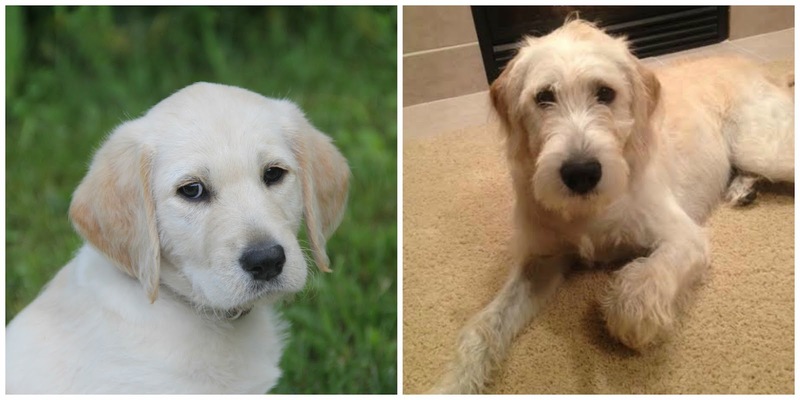 One family even compared their pup to a pure bred Lab pup at puppy obedience class and was amazed at how much more calm her Labradoodle was compared to the Lab. As for the hair, as expected, there is some shedding. 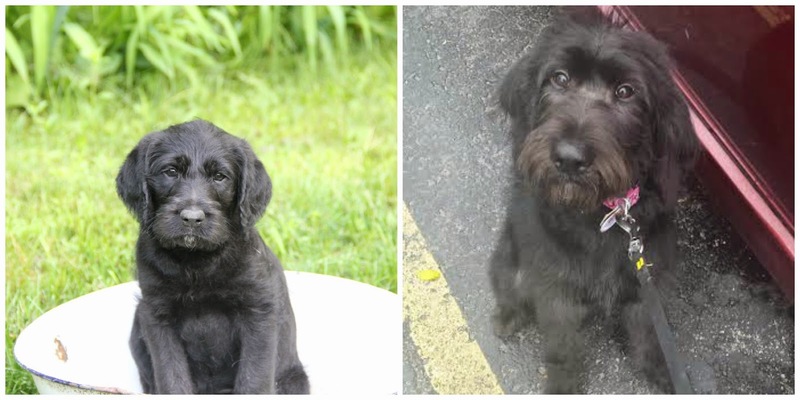 However, the pup who had the fluffiest coat as a baby seems to be shedding less than the others. 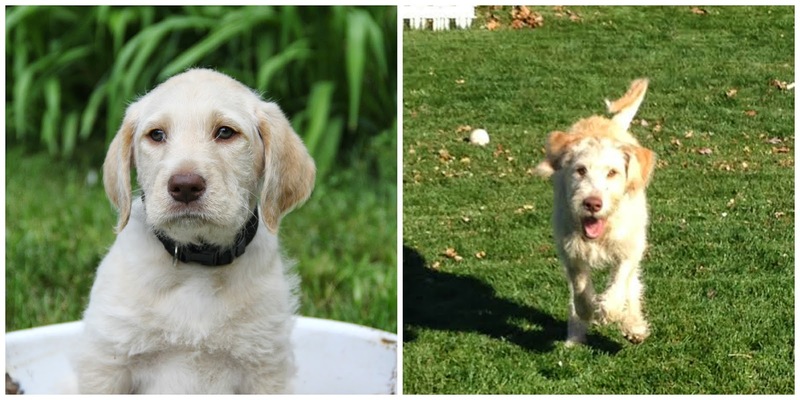 Overall, we have received great reports on all of the puppies. They are turning into wonderful dogs and family members. 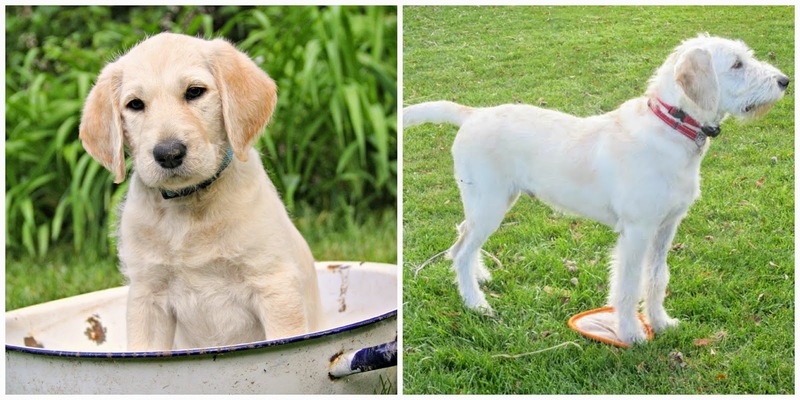 Each family has remarked on their pleasure over the pups intelligence and personality. We are really pleased with how these pups are turning out and very thankful for the loving families they were each placed with. I am amazed at the size of each of them. We thought they would be large dogs and we were right. One of the boys was already weighing in at 60 lbs before his 6 month birthday. However, even in the pictures you can tell that the boys are larger than their little sister (the black one). I love their scruffy faces. It is hard to believe these big dogs are the same as our little puppies. They have all changed and grown so much! Thank you puppy families for sharing your pictures and information with us.